Details: Price is per follower and are sold individually. These are purposefully designed so that smaller ammunition will not fit in the magazine and will be immediately ejected without retention. 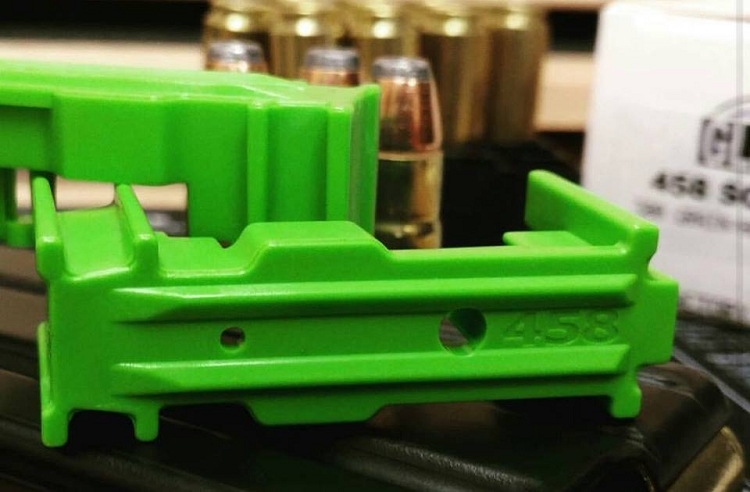 These followers are NOT compatible with Magpul Pmag magazines! Great fit in USGI type mags. Allow for good feeding and loading. Defintely recommend for use with 458 SOCOM. waited a while to do the review as I was waiting for the New Okay industries E2 mags. These followers work perfect in these mage, have no issues with ftf with any ammo. These are nice high quality followers that work very well. I did have to modify my Surfire magazine slightly to install the new follower. But it was a quick and easy modification with a Dremel or pencil grinder.